Trove (game, 2015). A sandbox massively multiplayer online role-playing video game by Trion Worlds®/Trion Worlds Inc. Developed by Trion Worlds®, Trion Worlds, Inc. Official Trailer. 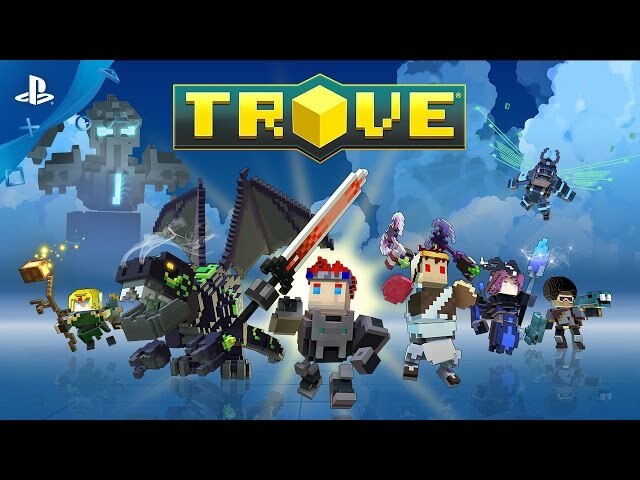 Trove is a sandbox massively multiplayer online role-playing video game by Trion Worlds Inc. and Trion Worlds®, developed by Trion Worlds, Inc. and Trion Worlds®. Trove - Beta Trailer | PS4. Players assume the role of one of multiple classes each with different play styles and abilities. After a brief tutorial players arrive in a central area called the 'Hub' In this area players can access Portals which act as access points to different in-game worlds each one tailored for a specific stage of progression. Each portal requires a minimum Power Rank to enter which gets higher per portal, allowing for progression from easier worlds to harder worlds as the player gains in level. Each world gets progressively harder but rewards higher levels of experience and better loot/resources. Each portal is of a specific color which is designed to indicate the quality of the 'loot' which can be most commonly located there, although there is a small chance that loot of a higher quality will be found. The exception to this is the higher level Red portals which predominantly drop Legendary (orange) quality loot but have a higher chance to drop loot of relic (red), resplendent (rainbow) or shadow (dark purple) quality as well. Higher Level Red portals have a better chance for to drop the rarer loot types. 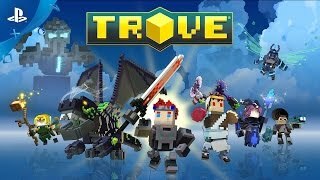 Trove was scheduled to be released by Trion Worlds® and Trion Worlds Inc. on July 9, 2015, on December 13, 2016, on March 14, 2017 and on March 15, 2017. It is a multiplayer video game. This video game is available for the following platforms: Microsoft Windows, Mac, PlayStation 4, Xbox One.